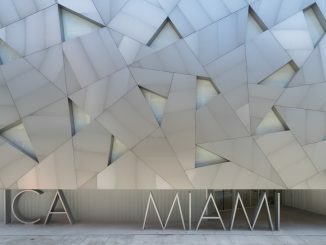 Mad Cat is pleased to now call Miami Theater Center (MTC) home! Up next will be the world premiere “Blow Me” by Jessica Farr and directed by Paul Tei which will open August 16, 2013 for a three-week run in MTC’s 50-seat SandBox space, located in Miami Shores. After a successful 13 years with The Miami Light Project, Mad Cat Theatre Company is extremely grateful for their opportunities. But it is time to look to the future, and part of that future is moving to a space which lends itself to the company’s artistic growth. With their move to Miami Theater Center in Miami Shores, they are allowing for a more accessible environment for the audience that lends itself to an experience only Mad Cat can bring. Both organizations will also be looking for ways to improve the space and creating not only a place for Mad Cat to continue its artistic mark on the Miami cultural scene, but also a place where other artists can flourish as well. “From a chance meeting with Stephanie Ansin and Elaiza Irizarry where the seed was first planted for a potential move to MTC, nothing but respect has grown in regard to our feeling about this wonderful organization. We are all excited to be making this a reality,” said Ann Kelly, Mad Cat’s Executive Director. “We are grateful for the open doors The Miami Light Project has given us to allow for a collection of artists to form. At this point we look toward the future, but that future wouldn’t be possible without the foundations we have built within the community. 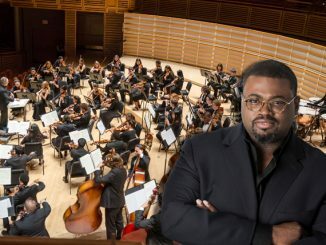 We will continue to explore opportunities as they present themselves as we have in the past at venues such as The Fillmore and The Arsht Center. With a move to Miami Theater Center as our core venue, we look to return to our roots and expand on our mission. It’s a prospect we are all looking very forward to. A new homecoming,” said Paul Tei, Mad Cat’s Artistic Director.